It has been reported that Acupuncture improves IVF results. This was reported in at the October 2004 meeting of the American Society for Reproductive Medicine. 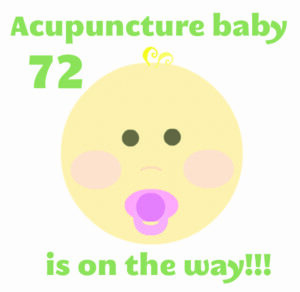 The research confirmed that acupuncture increases the success rate for patients receiving IVF treatment. The much talked study was conducted in Germany. The results of report concluded that when adding acupuncture, 34 women in the acupuncture plus IVF group become pregnant. The study found that the group NOT receiving acupuncture only 21 women became pregnant when using IVF alone.